24 Months - $40.99 Only 9 left! Oh, the magic of googly eyes! They really have the power to brighten our day. Around here, we love to keep a pocket full of sticky google eyes at all times. We're always making trips to the arts and crafts store to get more because we use them often. We have an obsession with sticking them everywhere. We put a pair on the fridge in the break-room creating a goofy face! We also stuck the eyeballs to light fixtures, staplers, the coffee maker, the printer, and other random office supplies because everything looks cuter with a silly face! 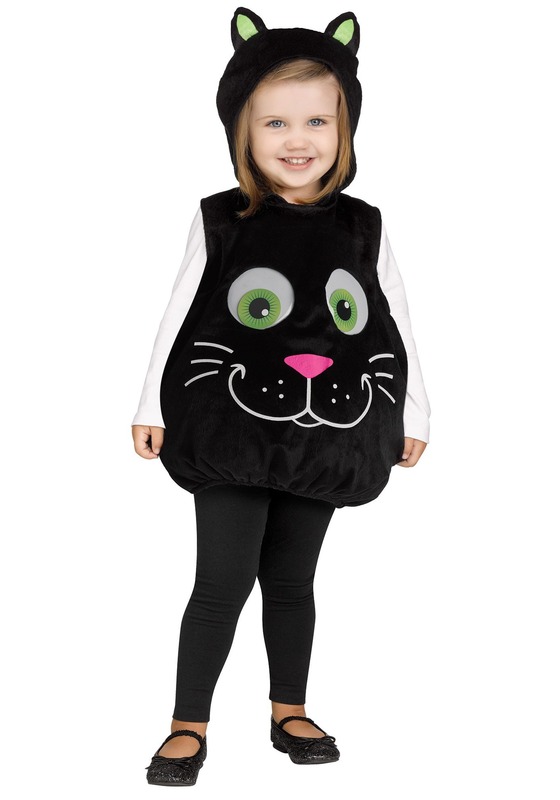 For your child's amusement, we also happened to put googly eyes on this toddler cat costume. If your little son or daughter loves cats, then they will love wearing a soft tunic made to look like a kooky kitty. 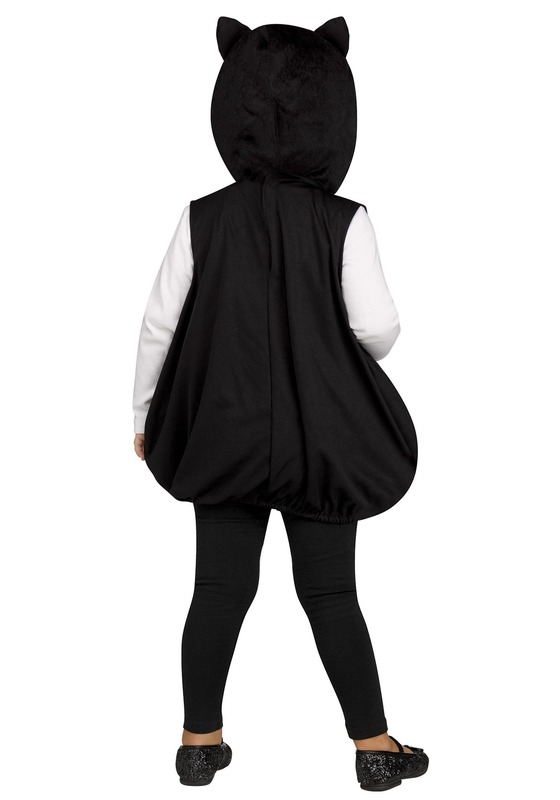 This fiber-filled costume creates a plump shape while the large googly eyes create a cartoonish appearance. A printed nose, mouth, and whiskers are also featured on the comfortable costume, as well as a hood with attached pointy ears. It's only natural for your toddler to acquire a fascination with googly eyes after he or she wears this costume. Get ready to find plenty of googly eyes around your house. Your little one will love decorating just about everything with the wacky art supply. Googly eyes really do have the power to make everything better...even kitties!